This scandal has been eroding Liberal support since Feb. 7, when the Globe and Mail reported that Wilson-Raybould had faced inappropriate political pressure on the SNC-Lavalin criminal prosecution decision. Wilson-Raybould and Jane Philpott both later resigned from cabinet to protest the government’s handling of the SNC-Lavalin file. But Wilson-Raybould’s wishes went beyond a limited housecleaning in the PMO. Sources said she also sought assurances that her replacement as attorney general, David Lametti, would not overrule Director of Public Prosecutions Kathleen Roussell and direct her to give SNC-Lavalin a deferred prosecution agreement. The intense back-and-forth search for a compromise might help explain why the caucus drama took 54 days — from the first report in the Globe and Mail on Feb. 7 to the prime minister’s announcement Tuesday that Wilson-Raybould and former Treasury Board president Jane Philpott were being ejected from caucus. CBC News reached out to Wilson-Raybould Tuesday night. She said she would not comment on the report. “Rather than acknowledge the obvious — that a range of individuals had inappropriately attempted to pressure the former attorney general in relation to a prosecutorial decision — and apologize for what occurred, a decision was made to attempt to deny the obvious — to attack Jody Wilson-Raybould’s credibility and attempt to blame her,” Philpott wrote in the statement posted to Facebook. Kate Purchase, executive director of communications and planning in the PMO, said in a statement to CBC News that Wilson-Raybould never issued a formal ultimatum to the prime minister, adding she would not comment on the details of Trudeau’s private conversations. “We’ve taken every effort to address their concerns. 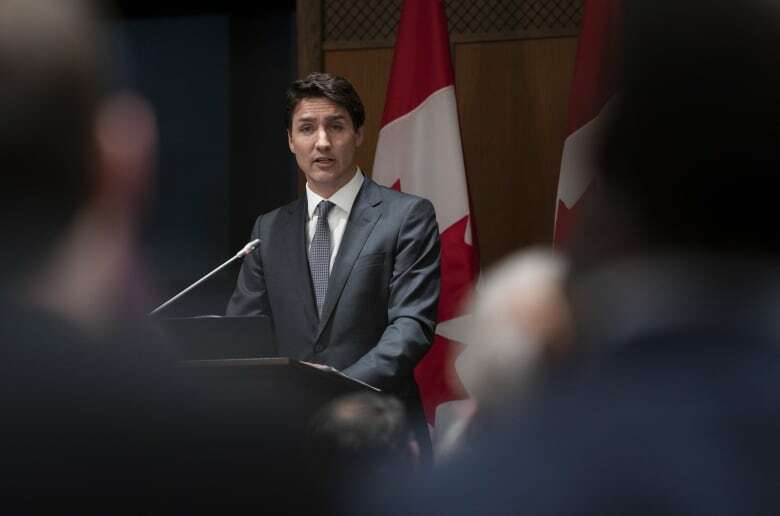 but ultimately, if they can’t honestly say that they have confidence in this team, despite weeks of testimony, face-to-face conversations and phone calls with myself and other members of caucus, then they cannot be part of this team,” Trudeau said in front of his MPs Tuesday night. Sources say the efforts continued until Monday, the day before the caucus expulsion. But by that point, Wilson-Raybould’s release of her secret recording of her Dec. 19 conversation with Wernick obliterated her already fractured relationship with much of the Liberal caucus and made a truce nearly impossible to broker. Caucus was already growing restive and the controversy continued to dominate the public debate and overshadow the Liberal’s pre-election budget.